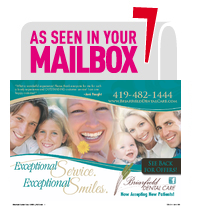 Read below to see what some of our patients are saying about Briarfield Dental Care. What a wonderful experience! You do a fabulous job of hiring one TERRIFIC team!! I enjoyed hearing that everyone works so long for you and returns to help out after they retire. That says a lot about your leadership and personality. Please thank everyone for me, at your next staff meeting, for a lovely experience and OUTSTANDING customer service!" "Everything was Awesome!! Everyone was amazing... Thank you so very much"
"I am overly pleased with the entire dental staff. Everyone is so helpful and nice and pleasant and I don’t mind going to the dentist rather then dreading it. The hygienists are very skillful which makes for a great experience. I actually look forward to my appointments!" "I think your dental office is absolutely the best. Everyone is caring & seriously interested in your best outcome. I could not have found a better place and have recommended Dr. Stuckey and his girls often. Thank you for being here!" "The best customer service I’ve ever had in a dental office. I really appreciate the patient, detailed descriptions of what is being done and the condition of my teeth. Keep up the good work!" "I have had many dentists in my life and I was one that hated going to the dentist. My first experience at Briarfield Dental Care with Dr. Stuckey changed everything I thought I knew about going to the dentist! The staff is friendly and caring and are very considerate of my time and work schedule. I have never had a better dentist!" "I am a new patient with Dr. Stuckey and I was very impressed with the receptionists all the way to Dr. Stuckey. Everyone was very nice and informative, and went out of their way to help. I am very fortunate to have found Dr. Stuckey’s office." "I felt very comfortable and very satisfied with the dental work I have had, and I am not hesitant about dental work as I once was. I have recommended Dr. Stuckey’s office to many of my friends because I have been so very satisfied." "My family has been coming to Briarfield Dental for around 2 years. The office staff is very friendly and are will to listen and help in whatever way they can. However for me Dr Stuckey has improved my over health in a way I thought could ever happen. I suffer from sleep apnea and I went through all the sleep studies and 2 different types Cpap machines. The devices did not work for me at all. Dr. Stuckey over the 2 years was talking to me on how certain dental appliances can provide relief or reduce sleep apnea issues. During this time I was very skeptical the devices would work and kept finding excuses not to try. I final decided to have Dr Stuckey treat me a few months ago and I am extremely happy as I am sleeping much much better with almost no snoring. The biggest benift is my wife can now sleep too and does not worry about me during the night. If anyone is still having sleep apnea issues even with cpap machines I would highly recommend coming in a seeing Dr Stuckey." "I have been using the Moses Snore Appliance now for several months and it works. It is very comfortable to the point I don’t know it’s there!" 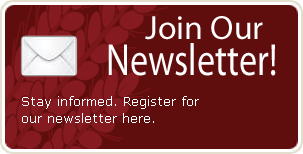 "The sleep apnea study was an easy and informative process. The new mouth piece has made a big difference. Snoring has almost completely stopped and I feel I get more restful sleep. I made the mistake of forgetting to wear it one night, and the snoring came back. I am very happy with the results and would recommend for anyone that feels they may have a problem." "I always hated my c-pap machine and my dentist told me of this mouth piece I could wear so I ordered it. Dr. Stuckey took extra time to explain exactly how it worked and his staff was very helpful in assisting me. I now sleep well and feel refreshed every morning. Thank you Dr. Stuckey and Staff!" 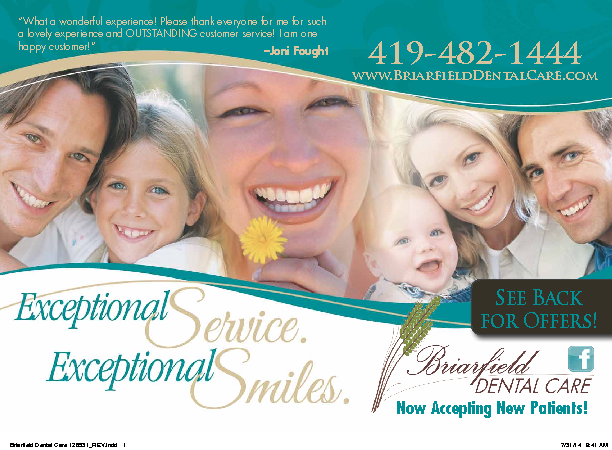 "Briarfield Dental Care provides excellent dental care, and more. Recently, Dr. Stuckey recommended a snore guard appliance (at my caring wife’s desperate plea) in an effort to maintain peace at home and in the neighborhood. As in most cases, the patient “doesn’t snore”, and since I have been using the snore guard I really don’t have any sleeping issues. The appliance holds my mandible in a position that allows for normal unobstructed breathing. The results for us have been amazing. This simple appliance is comfortable, and easy to use while sleeping. I honestly don’t notice I am wearing an appliance. My snoring has since stopped, and I wake in the morning rested and ready to go! If you have any snoring issues, this is one simple solution that I would highly recommend." "On December 6th, 2011 I had my teeth cleaned here in Dr. Stuckey’s office. I just wanted to say that the hygienist did a wonderful job in cleaning my teeth. All the staff are so nice... It makes it enjoyable to visit the dentist. And, Dr. Stuckey is a great dentist, thorough and takes his time with patients as needed. Job well done to all of you!" Your office staff and hygienists are a wonderful asset, and I appreciate how you take care of us like family. I love how your office works great as a team. Very professional, what a blessing! Thank you." "Tina is wonderful, she did a really great job. Very gentle and through. My teeth have never felt cleaner then they have today. Thank you so much you are awesome." "I continue to come in for my routine dental cleanings because Dr. Stuckey & the ladies in the office make me feel comfortable and at ease. Before meeting Dr. Stuckey through a mutual person it had been 9 years since I’d been to a dentist. I will continue to return (as long as they will have me) for superb service!" "This is the Best Experience in Dentistry there is. They are all wonderful and caring beyond your expectation. I lived in Ohio for 10 years, came here and then we moved to Missouri for five years and we moved back to Ohio in 2010 & I was so excited to move back to go to the best dentistry staff there is. I would recommend this office to anyone. I drive 45 minutes for my appointment but it’s worth the drive." "I think Dr. Stuckey and his staff are great. I recently started wearing the “ClearCorrect” invisible braces. It’s only been a couple of months and I already noticed a difference. My teeth were pretty straight, but I had a moderate overbite. I notice improvement with each set of trays. I feel a little tension the first couple days but after that they are easy to get in and out and nobody notices you are wearing braces. I’m a 36 year old professional, so invisible braces were the only way to go for me. They are worth it."